Sam moved to the University of Manchester to start his independent group in 2007. He was previously a postdoc in Alex Bateman’s group at the Wellcome Trust Sanger Institute, where he first got excited about non-protein-coding RNAs. He applied this excitement to generating resources for non-coding RNA research, and annotating RNA genes in complete genomes. The SGJlab at Manchester has a broad interest in structure, function and evolution of non-protein-coding RNAs, but currently spends most time thinking about microRNAs. He likes to cycle when he can. Ana has been the mistress of miRBase, the microRNA database, since 2009. When the database and website works well, it’s due to her efforts. When it doesn’t, it’s Sam’s fault. She is funded by the miRBase BBSRC grant. Rosalina studied undergraduate Biological Sciences and a masters degree in Molecular Biology, both from The National University of San Marcos in Lima, Peru. She has a wide range of interests and experience, including the biochemistry of scorpion venom, drought tolerance in native species of potato, and gene annotation in sweet potato. She came to Manchester to learn some computational skills, and to work on microRNAs, which she is studying in the context of gene duplication and dosage. She is missing her creepy crawlies, and hopes to get her hands on some spiders. Yuki hails from the fair country of China, and came to us via a degree in Biomedical Sciences in Manchester where she completed her final year undergraduate project in the SGJlab. She enjoyed the computational work so much she stayed to combine wet and dry work to look at why microRNA knockouts don’t tend to produce obvious phenotypes. She attempts to visualise microRNA and target gene expression using FISH techniques in Matt Ronshaugen’s lab. Tom is a Wellcome Trust PhD Student, co-supervised with Nancy Papalopulu. Despite his claims to the contrary, he is not the most travelled SGJlab member. He has a degree in biomedical sciences, from the other side of the Snake Pass (University of Sheffield, 2009). He spent a couple of years discovering that industry work on biomaterials wasn’t his thing, before returning to University to do a Masters in Cell Biology in Manchester from 2014 to 2015. He is currently investigating the role of microRNAs in the regulation of oscillatory gene networks. 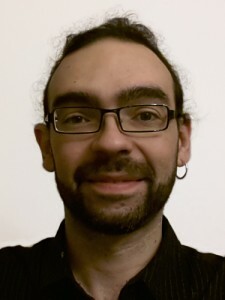 He has focussed on using computational biology to identify potential oscillatory network motifs within gene transcription and translational networks, which he is investigating using cellular and molecular biological techniques. Mark has a long history of software engineering behind him, but despite that, has proved extremely able to engage in some dirty bioinformatic data analysis. An MSc in Bioinformatics in Manchester was the first step in his career change, and a BBSRC-funded PhD place followed. Mark is studying copy number variation and its effects of microRNA expression and targeting. He is also very interested in dating gene duplication events. Llilians really is the most traveled SGJlab member. She says that hailing from Havana, Cuba is almost like being born in a magical place. She got her first degree in France, in Biology and Ecology, and a Masters in Molecular Biology in Montreal, where she studied how chemotherapy can trigger senescence of ovarian cancer cells. After a brief interlude traveling in South America, she moved to Manchester to start her Wellcome Trust-funded PhD. She says that she decided that a project with Sam and Matt was the chance she was looking for to do cool science, work on insect development and try to learn some computational skills. Lorenzo is a Quantitative and Biophysical Biology PhD student, funded by the Wellcome Trust. He is working towards his dream of buying a boat and making documentaries about black whales at the North Pole. Lorenzo was born in Florence, which he describes as a small city packed with monuments and museums. There he studied in Liceo Classico, a kind of high school focused on modern and ancient literature (Latin and Greek). Then he decided that maths was his thing, leading to a BSc in pure maths. He then moved to the UK to try to apply his skills in a biological direction, first with an MSc in Mathematical Medicine and Biology. His current work (with Sam and Matt) focusses on the cell-to-cell variability of RNA expression in insects, which are way smaller than black whales. Tom was an MRC-funded student, jointly supervised by Janine Lamb in the Centre for Integrated Genomic Medical Research. He worked on using small RNA deep sequencing to characterise microRNAs that are associated with autism. He has a strong maths and stats background, which he used to highlight flaws in methods that identify enriched GO terms in microRNA target sets. Tom is possibly the most travelled SGJlab member, coming to us from a Masters in South Korea, where he also taught English. During her all-to-brief 9 month stay in the lab, Edith created a database of yeast non-coding RNA data, YNCA, generated in collaboration with Daniela Delneri and Ray O’Keefe. She came to us after a BSc in Genetics and Mandarin Chinese and a research Masters in Human Cultural Evolution, both in Manchester. She is hoping to put her hands on some more human brain material later on in her career, but she thinks computers and programming might help her to do so. She is in competition for the position of most travelled member of the lab, being a not-very-Italian-sounding Italian and having lived in Beijing and southwest China for over a year. Steven was a BBSRC-funded PhD student, jointly supervised by Sue Crosthwaite. He was interested in whether splicing of mRNAs and non-coding RNAs in the fungal model Neurospora crassa might be regulated by light. Steven generated and analysed RNAseq datasets, and validated his predictions and observations in the lab. Vikki was a BBSRC-funded PhD student, who came to us from the exotic city of Liverpool. Her work was driven by genetic approaches to study long non-coding RNAs in the Hox complex of insects, carried out in Matt Ronshaugen’s lab in Manchester. She occasionally enjoyed the opportunity to work with us dry types to use computational approaches to understand the conservation and evolution of her candidate Hox lncRNAs. Maria was a Wellcome Trust-funded PhD student. She was most interested in the evolution and expression of microRNAs across developmental timecourses, in Drosophila melanogaster, D. virilis, and the beetle Tribolium castaneum. She split her time fairly equally between computational analyses and wet lab work (in collaboration with Matt Ronshaugen in Manchester), and is particularly skilled at making beautiful images of microRNA in-situ expression profiles. When we’ve finished writing up the papers, she is very likely to beat Toni’s record for number of publications from the lab. In Jan 2015, Maria started as a Postdoc in Alexei Aravin’s lab at Caltech. 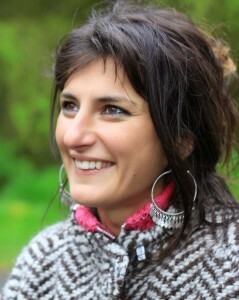 Yamini’s postdoc was jointly supervised by Sue Crosthwaite, and funded by the Leverhulme Trust. She investigated the prevalance of antisense RNA transcription in the fungus Neurospora crassa using a mix of RNAseq data analysis and wet lab follow-up. She now has a industry postdoc position at AstraZeneca where she is working on long non-coding RNAs and their potential to be used as biomarkers for drug sensitivity in cancer cell line models. During her 3 years with us, Yamini was never spotted with a frown on her face. Toni was a BBSRC-funded postdoc, and then he held a Stepping Stone Fellowship funded by a Wellcome Trust Institutional Fund award. Toni worked on microRNA evolution and analysis of small RNA deep sequencing data, and holds the current record for number of papers published from the lab! He now has a lecturer position at the University of Essex, where he is studying the evolution of gene regulatory networks, and regulatory RNAs, both using the model fly Drosophila melanogaster. Kasia’s PhD was funded by the Wellcome Trust. She combined computational prediction with wet lab validation (in collaboration with Daniela Delneri’s lab in Manchester) to study intronic RNA structures and intron evolution in fungi. She now holds an IdEx Fellowship at the University of Bordeaux, where she is investigating the potential of microRNAs as markers and therapeutic targets in the rare paediatric cancer hepatoblastoma, and desperately trying to learn her 4th language. Aaron is an ex-mathematician, coming to a PhD via the Manchester MSc in Bioinformatics. His work was mostly concerned with understanding the regulatory factors (transcription and epigenetic) that regulate the expression of microRNAs. His ultimate aim was to investigate regulatory networks involving these factors and microRNAs. Aaron moved on to a Postdoc in Andy Sharrocks’ lab in Manchester. Hubert joined us as a PhD student after completing the Faculty of Life Science’s Bioinformatics MSc programme. He studied the birth-and-death evolution of the tRNA multigene family, switches in tRNA gene aminoacylation identity, and the pseudogene legacy of mitochondrial invasions of the nuclear genome. After his PhD, Hubert entered the emerging field of ‘data science’. Now he applies machine learning algorithms for modelling and analysis of commercial data, and makes interactive apps for data visualization.